GLOUCESTER and STOW — Fire Chief Eric Smith, along with State Fire Marshal Peter J. Ostroskey and Massachusetts Firefighting Academy Deputy Director Joseph Klucznik, are pleased to announce that three Gloucester firefighters/paramedics graduated from the 252nd class of career recruit firefighter training program at the Massachusetts Firefighting Academy. 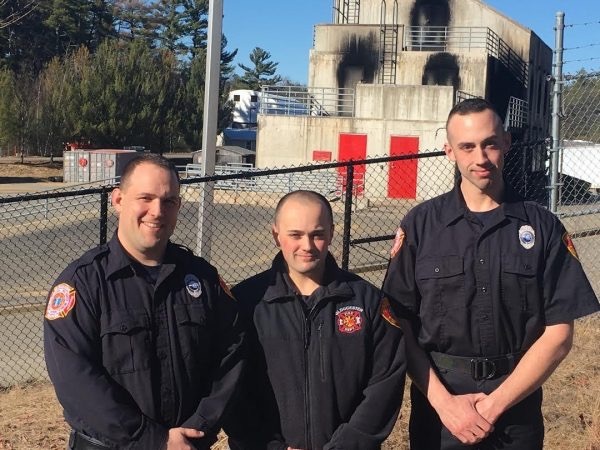 Gloucester Firefighters Ryan Goodwyn, Andrew Lyons and Anthony DellaCroce were among 33 fire recruits who completed the Massachusetts Firefighting Academy’s 50-day Career Recruit Firefighting Training Program. The graduation ceremony took place at the Department of Fire Services in Stow. Firefighter Goodwin is a fourth generation firefighter and was appointed to the Gloucester Fire department on July 10, 2016. 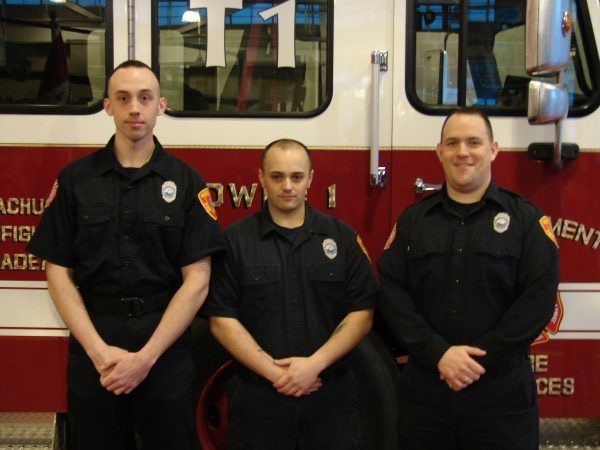 A graduate from the Pro EMS Center for Paramedics in 2015, Firefighter Goodwin also graduated in 2008 from the North Shore Regional Vocational/Technical school with a focus on automotive technology. He is a member of the Gloucester Fire Department team in Boston’s charity Fight for Air Climb. A lifelong resident of the North Shore, Firefighter DellaCroce was also appointed to the Gloucester Fire Department on July 10. He entered into public safety as an EMT in 2006 and obtained his paramedic certification from Pro EMS Center in Cambridge in 2010. Firefighter Lyons graduated from the Northeastern University paramedic program and was the third appointment on July 10. Firefighter Lyons has worked for North Shore public safety agencies for more than 10 years. The intensive 10-week state firefighting academy for municipal firefighters involves classroom instruction, physical fitness training, skills training and live firefighting practice. Previously, the program was nine weeks, but an additional week has been added to allow for additional time focused on water rescue, power saws, live fire training and Firefighter I/II practical skills. Firefighters learned the basic skills they need to respond to fires, including how to contain and control them, public fire education, hazardous material incident mitigation, flammable liquids, stress management, confined space rescue techniques and rappelling. To graduate, firefighters were required to demonstrate proficiency in life safety, search and rescue, ladder operations, water supply, pump operation and fire attack (ranging from mailbox fires to multiple-floor or multi-room structural fires). The 33 graduates, 32 men and one woman, represent the 14 fire departments of: Acton, Attleboro, Charlton, East Bridgewater, Gardner, Gloucester, Lakeville, Needham, North Reading, Salem, Taunton, Waltham, Walpole, and Weston. “This rigorous professional training provides our newest firefighters with the basic skills to perform their jobs effectively and safely,” said Fire Marshal Ostroskey. The Massachusetts Firefighting Academy (MFA), a division of the Department of Fire Services, offers the academy program tuition-free.